Ah, here we are at last. After Ninja Storm picked up the pieces from Wild Force - and shows that Disney is capable of making good Power Rangers seasons - these two prove that under Disney, the series was still able to achieve greatness. At least for me, of course, and I'm not just saying that because these were my first seasons. The start of Dino Thunder shows Tommy escaping from an island, which the show later tells us is where he worked. Showing this allows a look at the main evil force right from the off, though at the start he is hidden in shadow as he commands the Tyannodrones to bring Dr Oliver to him. Yeah, between Turbo – where we last saw him in any focus – and now, he’s taken his original powers to heart and put focus solely on them. In fact, as I’ll touch on again later, it’s as though his Turbo tenure doesn’t matter. Some years after that escape, he has taken a job at Reefside High, and we meet our other main characters. Randall – the headmistress. Cassidy – junior news reporter, along with Devin – her cameraman. And the three prospective Rangers, as described by Cassidy: Conner – King of all Jocks. Ethan – King of all Geeks. Kira – Wannabe Abba Girl. Our three prospective Rangers have found themselves in detention. Forced to be together, Tommy takes charge of them and takes them to the museum. The first bit of Tommy’s past on that island is shown when he says “that’s impossible” to an Anton Mercer’s takeover of the museum. The three teens have gone into the forest, find three gems, and run into the Tyrannodrones – who have been alerted to the gems’ presence. Part 1 of Day of the Dino ends with the three back at school, Kira getting captured [though not wanting anything more to do with their adventure had given the boys her gem], and Conner and Ethan back at the place they found the gems – which is the research base of Tommy. The gems have given the prospective Rangers powers, which they don’t fully understand as of yet. Part 2 brings in Elsa, Zeltrax and the dino zords. And gives the Rangers their suits. The opening does a good job of showing these three teens come together, and while not yet fully bonded to each other, work together as a team. The next episode brings a bit of a moral choice for Conner, who gets a bit miffed that his own life is being interrupted by Ranger duties. We also get introduced to the hangout of the Rangers – Hayley’s Cyberspace. Hayley is a nice woman, always knowing what people want, and gives Kira and Conner chances to pursue their career paths. Tommy gets captured outside while Kira is performing, which leads onto Legacy of Power. “Commemorating 500 episodes, may the power live on forever.” Hayley is revealed to know who the trio are, and as they watch Tommy’s video log of Ranger history, she sets about trying to find a way into Mesogog’s lab so the Rangers can rescue him. Then, in Back in Black, guess who’s back to Ranger duties. Mesogog wants Tommy to free something from a rock, and when the Rangers rescue him, he takes that rock, and after a blast from Zeltrax, the black dino gem is revealed from it. Tommy joins with the team to fight Mesogog’s forces. A few side episodes expand characters, but I’m not filling in the details for that, as I want to talk about Trent. Introduced after Day of the Dino, but hardly getting any screen time, he and his dad – Anton Mercer – get that time. Anton wants what’s best for his son, even if that isn’t what Trent wants. Trent discovers an Invisiportal within his own home, setting up what comes later – when the White Ranger comes into play. White Thunder, in my eyes, is a better arc for introducing an evil Ranger than Green With Evil from Mighty Morphin’. That’s not to say I’m going to compare them, but here’s the thing. As I’ve already stated, I felt Green With Evil went on for one or two more episodes than needed and brought with it some unneeded things. White Thunder sets the evil Ranger up, gives him a Megazord, and then sets him against both good and evil forces. Across the three episodes, the pacing is mostly fine. The second episode feels as though it has the least content – having used the full zords-to-Megazord sequence for the first time since the beginning – but there’s still quite a lot here. During the arc, Cassidy and Devin are trying to find out the identity of the White Ranger, though as an audience we know it is Trent – who used the Invisiportal in his dad’s study and bonded to the white dino gem in the first episode. Truth and Consequences is a direct follow-on to the arc, and sees Trent deal with the knowledge that he is the White Ranger. He tells Kira – the one he knows he can trust – and she tells the others. They are less trusting, and considering that Trent fossilised Tommy, it’s no wonder. And there’s also that he’s been beating them senseless every time they’ve met in Ranger form. Leader of the Whack is where Tommy is freed from fossilisation, but a side effect being he cannot de-morph. A space rock had power to bring out the hidden qualities of people. It’s really just an excuse to have the main characters be opposites of what they’re presented as, but in story context reveals that Trent does have good in him. With Tommy freed, he can get back to the action, but unable to de-morph, he can no longer present himself as a teacher at the school. Not that it seems to be raised until a few days later [or maybe a week] when Randall asks about him to Ethan and Kira. Then in the episode after Anton Mercer takes over teaching. Just as we know Randall and Elsa are the same, Mesogog and Mercer are the same as well. Mercer is trying to separate himself from Mesogog, which indicates he isn’t wanting anything to do with Mesogog’s plans. The Triptoids that Zeltrax stole from Ethan’s game earlier in the season finally start getting some action, and the reason why Zeltrax is so interested in Tommy is revealed at the same time Ethan deals with a bully. Zeltrax is wanting revenge for something that happened a long time ago, and makes a deal with Trent – though of course Trent’s side of the bargain goes nowhere, as he wanted to overthrow Mesogog. Zeltrax’s loyalty to Mesogog means the latter was informed by the former of Trent’s wishes. While we haven’t seen the White Ranger in action much, he’s displaying a certain level of arrogance now. Lost and Found in Translation is an interesting episode in that it isn’t really a Power Rangers episode. Instead, most of the action comes from a Sentai Abaranger episode that didn’t get adapted into Dino Thunder. Fully dubbed, though with parts cut out to show the Rangers watching it, it shows off the differences between Sentai and Rangers to those not in the know. Of course, the episode chosen is a side episode. No point in showing off part of a plot that won’t be resolved. Those who have seen Mighty Morphin’ will know this one as a reference, in that a Ranger is almost exposed thanks to a camera. In this case, it’s security footage that captures Kira. But the tape with the footage of Kira’s morph gets drowned in fruit punch. Trent and Zeltrax are against each other, and fight for second-in-command. Since Trent won, Zeltrax exacts a bit of revenge on Trent. Anton reveals to Trent the truth of Mesogog, and Zeltrax creates a monster that can copy anything. Using it to trash the base with the weapon of the White Ranger, Mesogog captures Trent and sets to drain his power. When Trent appeals to his dad, the hold Mesogog has fails to allow Anton to free Trent. The power drain cracks the evil from the white dino gem, and when Trent steps in to help Tommy from another of Zeltrax’s attacks, the latter trusts him enough to induct him to the team. It’s clear that Conner still has some trust issues with him though. Zeltrax has used the Copy Otter’s ability to create a White Ranger clone, and with it, the Terrorsaurus. The Terrorsaurus steals the Rangers zords, while Tommy and Trent use their power to reveal an ancient artefact. Conner hears its calls, and rescues the Triassic Shield. Using the Triassic Ranger powers, he defeats the Terrorsaurus. With its destruction, the zords are free. Zeltrax rebuilds the aerial attack unit, as Kira gets an offer of making a music video. Tommy finally defeats Zeltrax as Conner tests out the Mesodon Rover. Kira refuses the offer of joining with the label, with the knowledge that they were forcing her away from what she sees herself as. Ethan also gets a bit of a shock as his online date turns out to be Cassidy. But that just starts the beginning of a friendship between the two, and the others as well. Ethan convinces Kira to give Cassidy a chance, and Kira promotes Cassidy to the news network. While she fails to complete her assignment, she does manage to run into the Rangers as they defeat another monster, and Cassidy gets enough good footage of that fight that she is in the good graces of the network. She even tries to express her thanks to Kira. And this is one of the main points I love about Dino Thunder. Aside from the characters themselves, it’s this sense of the characters progressing through their chosen career paths by making choices, and that feels like one of the overall themes of the series – choices and consequences. Tommy’s ability to unmorph is solved when Elsa reveals some slime that helps him return to normal. Only problem is that he is now unable to be seen. He uses the power of his dino gem to help stop his invisibility problem, but in the process gets put into a coma. While in it, he has to face three of his past forms to prove his ability to keep fighting. Zeo Red, White Tiger, and Green Dragon. Turbo Red is missing, and while it could be said that’s because the producers didn’t want two of the same colour, I like to think it’s correcting a problem I saw with Turbo. As I said in that post, the first half felt it wasn’t going anywhere, hardly giving any development and falling into the same plan of stopping a detonator. Only once the new Rangers came in did it start picking up. As Tommy said in his video log, he had one final mission before graduation. I read into that as the Zeo team testing the Turbo powers, with Divatox getting revenge on them after that graduation and a new team being brought in. However, that’s all I’m saying on this, as there’s a bit more to cover on Dino Thunder itself, though I’m only mentioning three specific parts now. Zeltrax returns, and is using the power of a tree to remain strong. Mesogog also wants the tree, since it is imbued with the power of the water of life it has been growing on. A student named Krista wants to save the tree since Randall wants it removed. Zeltrax turns that tree into a monster, then captures Krista. Conner has an interest in her, and it is his passion to rescue her that unlocks the power of the battlizer. An episode before the big event up next, Trent and the White Ranger clone do battle when the energy of both starts to decline. Since the energy was duplicated, it can’t stay like it forever. The clone fails, but the battle itself was very fun to watch – even if it is interposed with the other Rangers in a Megazord fight. Now, I called this a big event as what other season has represented the team-up in its opening credits? And the team-up is across two episodes. 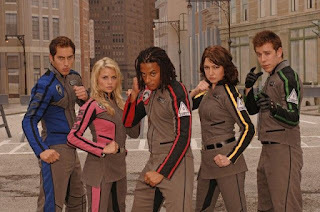 And just like the Wild Force-Time Force team-up, gives a bit of an expansion on the previous season. Lothor has escaped from the Abyss of Evil, and tricks Shane, Dustin, and Tori into accepting new morphers. With Rangers on his side, Lothor attacks the Wind Ninja Academy and takes its students again. Cam contacts Hunter and Blake, and attempt to gain their powers back from the Abyss. Mesogog finds out that Lothor has returned, and the two join forces. There’s a number of good battles in the second part, including a fight between Mesogog and Lothor. The morph theme gets a new kick as it is here that the victory notes, as I like to call them, get introduced into it. Trent is starting to get jumpy that the other Rangers will find out his secret, not helped by Elsa dropping hints to his big secret. Ethan and Devin have been playing Dragon War, and Randall took the cards. When Tommy heads to get them back, he gets a shock as Randall transforms into Elsa. The two get into a fight outside the school before Elsa retreats. This episode really starts setting the tone of the finale, and Trent’s characterisation really shows here, as he does his best to protect his dad any way he feels necessary. After Elsa’s failed plot – having used one of the rare cards to make a monster – she plants it on Anton Mercer, and Trent is still trying to avoid answering the truth. That is out of his hands when Anton loses control and Mesogog forms for a few seconds in front of the Rangers. Trent then has to answer for this back at the base. In the end, he shows his trustworthiness by saving Conner – who still had doubts about him. Mesogog has also now separated himself from Anton, and his personality changes from that. Before he was more psychologically oriented, getting up in others’ faces real close and his plans had real thought put into them [even if he trusted his minions more often with them]. Now, Mesogog is in full-on attack mode, even using Elsa’s evil energy to power his new weapon. Trent plans to give Mesogog the dino gems in the hopes he can ensure safe passage through the invisiportal network for the others with their own new weapon and put a stop to Mesogog once and for all. Meanwhile, Zeltrax is back, and with Elsa now powerless, he finds her at the Rangers’ base, destroys it, and kidnaps her. And on top of all that, it looks as though their identities as Rangers might finally be revealed. However, Cassidy has a change of heart, knowing that her friends should come before her career. With all evil destroyed – as well as the Rangers’ own powers - the end of school proms is the perfect place to finish, and Kira singing the season out always brings feelings of both joy and sadness. It’s just such an emotional scene somehow, and one that can’t fully be explained. "In the not-too-distant future, Earth has become a haven for all alien races who come from the farthest reaches of the galaxy to live in peace. 99% of the newcomers live in harmony, but for the 1% who can't there is Space Patrol Delta, the new breed of police, to bring them in." In the year 2025, SPD gets right to the point. Starting out as a two-part episode, showing off the training of three teens as part of B-Squad, and revealing the SPD as a whole. The evil of this season is Grumm, a conqueror of worlds whose next target is Earth. He needs an accelerator for his ship to make safe passage, so sends his robot henchmen to get it from Earth. Sky, Syd, and Bridge run into Jack and Z – two street thieves who give what they take to the poor. Z wants to be a part of something bigger, so when the opportunity to join B-Squad arises, she is there. Jack doesn’t want anything to do with SPD, but the one who he will do anything for is Z. Sky is set up to want to be the Red Ranger – like his dad – but that eventually goes to Jack, which sets up a rivalry of sorts between the two. The two-parter ends with Grumm heading to Earth, and Commander Cruger warning the Rangers of the peril to come. The third episode has Grumm set a trap for the A-Squad Rangers in space, hoping to leave the Earth defenceless. However, B-Squad are still on hand to deal with him. Jack is still finding his place within the team, and gets a bit ahead of himself in being the leader. He learns his lesson, and the team are forged – sort of. Jack and Sky’s rivalry still continues. Broodwing and Mora are introduced to the ranks of the villains, the former being a weapons dealer and the latter a child serving under Grumm who has the ability to make monsters from drawings. The episode is also where the Megazord comes into play. Other Rangers get the chance to display their traits, but it is Z who gets some real focus – even if it has to be shared by a bit of backstory for the full team. Mora’s new plan involves using a boy called Sam. Z sees the boy in action and tries to befriend him. All the Rangers have powers, and this boy is no different. The two sides are putting pressure on Sam, and he needs to decide on the right choice. It is Z who fights the hardest for this cause, unlike Sky who refuses to believe they have anything in common. The dynamic of Z and Jack is explored more as they work together in trying to befriend Sam. After a tough encounter with an Orangehead the two are called back to base and the story is revealed. Sam’s fate is personal to Z as she was pretty much the same as he was. Scared, teased, and so desperately wanting friends. Cruger had been watching over all of them, as their parents worked for SPD and had their DNA altered when working on an experiment. Sam is the sixth child of that team. Sam realises the Rangers are where he wants to be, and the enemy are defeated for another day. Sky has to deal with a friend who’s defected, and Jack starts respecting Sky. Syd feels Jack doesn’t respect her as he makes her work an undercover mission on her birthday. Jack doesn’t know his birthdate, and feels there’s nothing so special about others’. However, he comes to know why they are special. These two episodes lead onto the focus for Cruger. Cruger is cranky thanks to dreams of his past, and starts driving everyone to dislike him. The cause of that past returns. The Rangers learn about that past, and Kat hopes to help Cruger. His reluctance to battle is still strong, and he isn’t impressed when Kat gives him something to get into the fight again. When the Rangers start failing against that threat though, he decides he needs to help. Taking up his sword, and the help Kat had given him, he becomes the Shadow Ranger and confronts his past. One piece of the puzzle is still remaining, though. His wife still remains out in the galaxy - lost. The two episodes could have had more significance to Cruger had the focus solely been on him, but that might have lessened the effect on the next episode had we not seen the Rangers giving it their all here. Since Shadow Ranger’s appearance, the others have become lax, relying solely on the power Shadow provided. As such, Cruger will not help, and it’s up to the others to face a tough challenge on their own and realise what they’ve become. Mora brings Valko into the fight, who releases Goradon. A new recruit called Sophie impresses the Rangers, and is allowed clearance to become a tech specialist. When it becomes known she is a cyborg, and that she was linked to the access of a high-clearance system, she is expelled from SPD. Unknown to the Rangers, she is the key to the control of Goradon, and upon expelling her have given Valko free reign to capture her. She gets put into the control wiring of Goradon, but breaks free of the control and escapes, calling Cruger to her. Then, she unlocks the coding sequence needed to bring the SPD base into a Megazord configuration. The logistics of that are completely off the charts, especially later in the season. Even so, it's Rangers, where reason has no place when spectacle is concerned. The Rangers have learnt their lesson on prejudice, and Goradon is defeated, while Grumm acts on what he’s been threatening to do for a while and turns Mora back into what he found her as. Morgana. Boom – chief gadget tester for SPD – gets his time to shine when he makes a mistake while trying to impress his parents that could have drastic effects. A dimension hopper has taken Jack and Sky on a tour of various dimensions, and the other Rangers try to bring them back. Boom first pretends to be the Orange Ranger, but upon letting an important artefact fall back into enemy hands, he resigns his post in shame. When the opportunity arises to fix it, he takes it, and gets reinstated upon success. And Sky just can’t catch a break as a monster then switches body with him and he has to convince the other Rangers it really is him inside the monster’s body. An episode exaggerates personal perspective, as the Rangers give their own version of how a battle went down. As such, a lot of bigging up their own egos takes place, but it’s entertaining how in every single version of the retelling – including his own – Bridge loses count of how many enemies he’s defeated. When the proper events get revealed through backup video footage, it shows the Rangers got saved by a white light. And in Messenger, that white light gets revealed as a Ranger from the future. One that the team befriended as a boy. The first part has Boom uncover a message from the future, saying that on this day, SPD has fallen. Grumm has won. Z heads off, shaken by the message, and while the others battle against new monster Shorty, she has a run-in with Morgana. Z comes off bad from that encounter, but still heads to the others. Morgana is now in a giant robot, and works with Shorty to call Devastation - the most wanted criminal in the galaxy. When almost fully defeated, a motorbike zord comes to the rescue. Omega Ranger joins the fight, and defeats Shorty. Devastation then tries to destroy Omega Ranger, who has declined the other Rangers’ help. They help anyway, and after defeating him, he jumps into the giant robot, the zords are called, and of course the Megazord hops onto the bike zord for a wild supersized chase and battle. A testament to the relationship of Jack and Sky comes up next in Reflection, where Sky is responsible for setting free a criminal unwillingly. First the team has to deal with Slate, a monster able to morph into other monsters. Sky is sent to talk with Mirloc, a dangerous criminal who knows about Slate, but wasn’t talking unless Sky made a deal with him. Once Slate is defeated with the help of the new Battlizer, Sky returns to Mirloc. It is here that Mirloc taunts Sky over the loss of his father, and upon a tear appearing on Sky’s face, escapes into it. When the Battlizer was being prepared for the Red Ranger morpher, something haunts Sky in some way. While he has accepted Jack as Red, he sees it as a failing in himself that he isn’t. And while Sky doesn’t know it, Mirloc is the criminal who killed his father. That is where part 2 comes into it. With Mirloc out there, Boom looks at his file and asks Sky about it. Sky then confronts Cruger. Feeling bad for what he’s done, he requests demotion, but Jack in a way refuses that by saying that Sky isn’t living up to his father. The team split up, and all except Omega eventually get captured within Mirloc’s reflection dimension. Omega manages to break them out of it. The team boost Sky’s confidence as Mirloc continues his taunts, and Jack does the decent thing, allowing Sky to not only be the one to bring Mirloc in, but also to do so in Red. While the two might continue to have a rivalry of sorts, the differences between them by this point have certainly been sorted out. Piggy has been around since the beginning, helping both sides, but Grumm isn’t allowing that to continue. As such, Piggy enlists the help of some friends to help him steal SPD technology. However, once they claim it, they double-cross him. And really, this part - along with the end - are the only parts of SWAT that I like. It regresses the Rangers so much, and they feel like polar opposites of the characters they were in the previous episode, that it just feels a forced plot point to make the new power-up they gain worth something in a season where nearly everything is just built for them. Since the Rangers are so antagonistic of one another, Cruger sends them to another planet for some teamwork building. At the end of the two-parter, the Rangers use the SWAT mode technology to beat Piggy’s friends. Unknown to the Rangers, Piggy takes the schematics of SWAT mode back, duplicates it, and gives a copy to Grumm and Broodwing – the latter of which has recently had plans to overthrow the former. Robotpalooza reeks of rushing through Sentai footage quickly, featuring four [five counting Bridge’s dreams] Megazord battles. It does give a great introduction to the SWAT Megazord, ready for Impact, where more Jack and Sky interaction is given as they stop a meteor from hitting the Earth. Kat also gets the chance to be a Ranger in Katastrophe, knowing who the Rangers are up against and wanting to help stop him. Also between Robotpalooza and Impact is the first of the team-up episodes, but it really doesn’t feel as such to me. 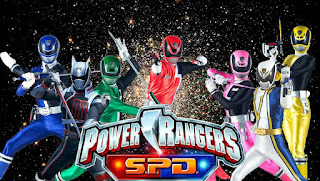 I’ve seen others hate on the fact SPD try to protect the Dino Rangers too much [who were brought forward in time by Broodwing], but it’s only reasonable to do so. As Cruger says, the results of them not being able to return would be catastrophic for the future. My problem with it is the same as Time Force-Lightspeed Rescue. While the Dino Rangers do get time to shine, it feels as though they are just there to serve as a plot point and some one-time help. It’s still good to see them in action again, but this team-up has nothing on Thunder Storm. The other team-up where the SPD Rangers go to the past is little better, though it at least allows for the full Dino Thunder colours to be on show. While Broodwing is up to another of his plans, Morgana is tasked to raid a laboratory, and upon her success gets turned back to Mora. However, she is curious about what is behind the secret door that Grumm is insistent no-one is to go through. Behind it is Omni, the ultimate master, who puts Mora under a spell. The Rangers overhear a statement from Cruger that makes them feel sorry for themselves, which leads into the recap of the season. During it, they realise Grumm is using Earth’s resources to build something that can be used against them. As a back-up I would expect, Grumm decides to head back to 2004 to try and conquer it before SPD fully formed. That is where the second team-up is placed, and as I said before, it suffers from the same problems as the first. The finale is built up with Resurrection, where Jack starts feeling he’s had enough of SPD. Wants a life beyond it, and gets a chance at that, but work keeps getting in the way. A-Squad is found, but Bridge feels that something isn’t right about that. Which is proved right when A-Squad capture Cruger and deliver him to Grumm. As B-Squad battle against A-Squad, Broodwing takes over the SPD base. With both problems sorted, Piggy betrays the Rangers and hands them over to Grumm. Something he quickly decides to go back on to help SPD instead. It also appears that Grumm had been holding Cruger’s wife all this time, so as the Rangers head back to Earth, Cruger stays to rescue her. In a brilliant speech by Boom, he convinces the rest of SPD to stay and fight as the remaining of Grumm’s forces prepare to do battle. Omni has formed the Magnificence and descended to Earth, where the Rangers put the SWAT Megazord to one last good use to destroy it. With Grumm now captured and evil defeated, Jack leaves SPD. Sky is now Red Ranger, with Jack teaming up with Piggy and Ally to come full circle and do roughly what he had been at the beginning of the season – though of course this time it isn’t stealing. And with that, I’d just like to say – thank you Netflix for messing up the order of the last ten episodes, so Wormhole appears after Endings and making it seem like the Rangers battle the second version of a monster before the first. If I had to choose between Dino Thunder and Time Force as a favourite, it would be the former each and every time. There is little difference between the two seasons for me though. Both are great in their own ways, but Dino Thunder has the better of the two team-up episodes, so in my eyes it has to be first. While Time Force does have the better villains, it did at times feel like the Wes and Jen Show. 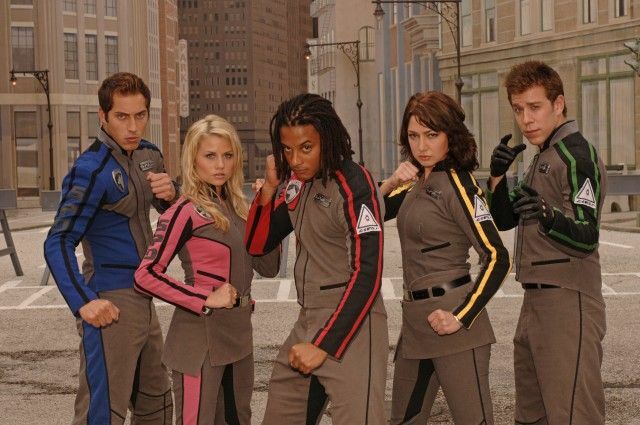 Dino Thunder gave every member of the team a chance to shine - even if Tommy wasn't used to his fullest potential. SPD is a great season overall - though characters and plot sometimes don't get used to their fullest. Where it gets placed on my list might be indicative of a bit of nostalgia at play, but there's no denying it is still a great season. Mystic Force and Operation Overdrive are next to be covered, and while I'm still standing by what I said about Disney being a great match for Rangers, these two seasons aren't exactly matching the quality of the two I've just covered.